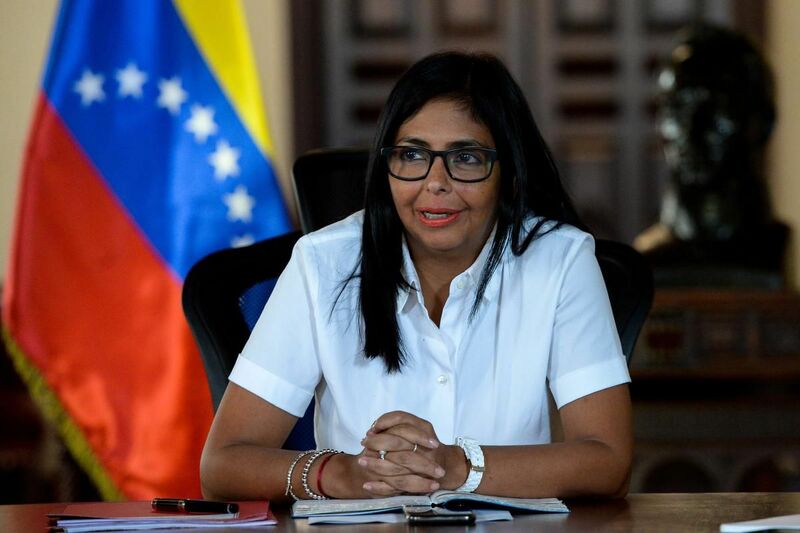 The European Union banned travel and froze the assets of 11 senior Venezuelan officials on Monday, including new Vice-President Delcy Rodriguez, pressing the nation’s leaders to hold fresh elections and return to democratic rule. The people “listed are responsible for human rights violations and for undermining democracy and the rule of law in Venezuela,” EU headquarters said in a statement. European leaders have not targeted President Nicolas Maduro, focusing on those around him, such as Rodriguez, a trusted member of his inner circle. The sanctions, which also target the army chief and a top military intelligence officer, bring the total number of Venezuelan officials under EU sanctions to 18. It makes good on a threat made shortly after a recent presidential election that was broadly considered a sham. Venezuela must respect all democratically elected institutions, notably the National Assembly, and release all political prisoners, European officials said. Venezuela is in the grip of a deepening political and financial crisis marked by shortages of food and medicine, causing masses of residents to flee across its borders. A broad coalition of nations in the international community has condemned Venezuela’s leaders, accusing them of using the nation’s resources for personal gain. Officials in the United States have sanctioned 70 officials, including Maduro. But Rodriguez is not on the U.S. list. Rodriguez tweeted a “personal message” to European leaders, saying they can use her “supposed” assets to ease the crisis created by their own “warmongering, racist and xenophobic” policies directed toward her country. “The old imperial world or any foreign power will never bend my determination as a Venezuelan to love the land where I was born!” she said. European leaders said that the measures are reversible and not designed to harm Venezuela’s citizens. Officials said the measures are meant to help foster democratic solutions to the crisis, encourage political stability and address the urgent needs of Venezuelans. Maduro coasted to victory May 20 in an election boycotted by the main opposition parties and broadly condemned as illegitimate by the U.S. and other foreign governments. European leaders announced in early June that they would send more than $40 million worth of aid to help Venezuelans suffering through a deepening humanitarian crisis, though the country’s leaders have steadfastly denied it needs any foreign assistance. Most of the money was earmarked for health care, food and clean water for Venezuelans living inside and outside of the country, European Commission officials said.